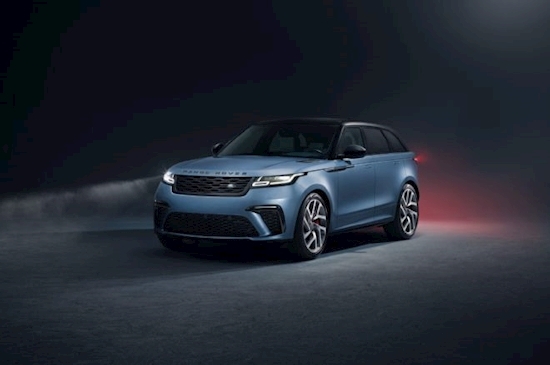 Range Rover will give the stylish Velar midsize SUV a wildly powerful new trim level for the 2020 model year only, called the SVAutobiography Dynamic Edition. 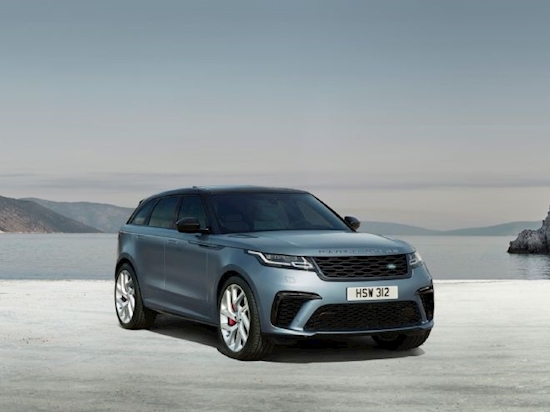 Using a 5.0L supercharged V-8 similar to what’s found in the Jaguar F-Pace SVR and Range Rover Sport SVR, the Velar SVA boasts 550 hp and 502 lb-ft. That kind of power allows Jaguar Land Rover’s latest Special Vehicle Operations product to sprint to 60 mph in 4.3 seconds on its way to a top speed of 170. 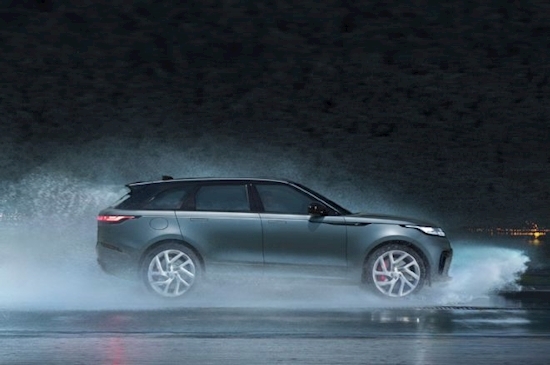 The supercharged V-8 is only one piece of the Velar’s outrageous performance puzzle. Standard 21-inch wheels weigh the same as other models’ 20-inchers, and they open up space for pizza-sized brake discs (15.5 inches up front and 15.6 inches in back). Two-piece brake rotors provide unsprung weight savings, while four-piston front and sliding rear brake calipers clamp hard for better stopping power. Furthermore, the eight-speed automatic transmission, Active Locking Rear Differential technology, steering, and air suspension have all been calibrated for higher performance. An active exhaust system with unique quad outlets saves weight compared to the conventional Velar, while also allowing the driver to tune its level of noise for either sporty driving or relaxed cruising. 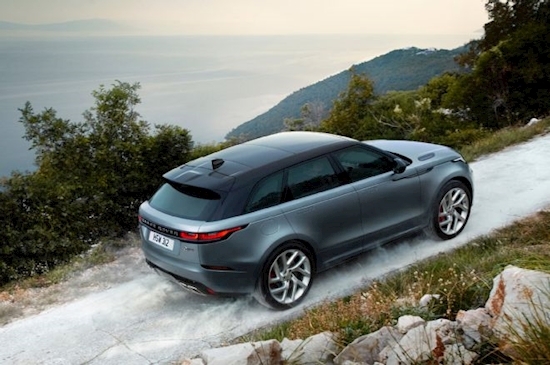 In a straight line, the Velar SVA is a bit less impressive than the aforementioned SVR models—the Jag sprints to 60 in 4.1 seconds while the Range Rover does 4.3, and both top out at 176 mph—but the Velar is intended to be a bit more posh and luxurious than its sportier cousins. 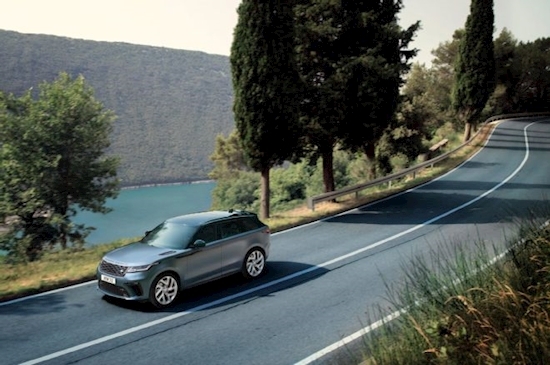 Outside, there’s a new front bumper that helps satisfy the V-8’s appetite for cool air, and a new grille design, lower side moldings, and revised rear bumper help set the Velar apart from lesser trim levels. The front and rear “RANGE ROVER” logos are done up in two-piece knurled metal, a surprising and sophisticated touch. Its interior features double-stitched, perforated, and quilted Windsor leather upholstery with 20-way power front seats with memory, massage, heating, and ventilation. 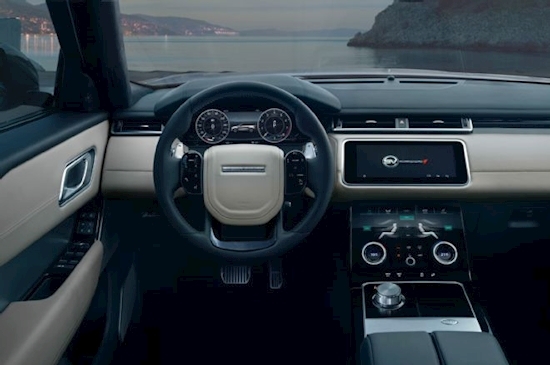 Aluminum shift paddles are mounted behind a specially contoured steering wheel, and the rotary gear selector and circular infotainment controls have been rendered in knurled aluminum for the Velar SVA. Even the dials in the instrument panel’s 12.3-inch display get an Autobiography-specific digital knurl. The limited-production 2020 Range Rover Velar SVAutobiography Dynamic Edition will likely cost about the same as the $80,000 or so demanded by the Jaguar F-Pace SVR. And at least for now, it’s the only way to get a V-8 in Range Rover’s stylish midsize SUV. In many ways, it’s a Goldilocks of the Special Vehicle Operations family, offering plenty of luxury, a city-friendly exterior size, and bonkers power in one stylish package.